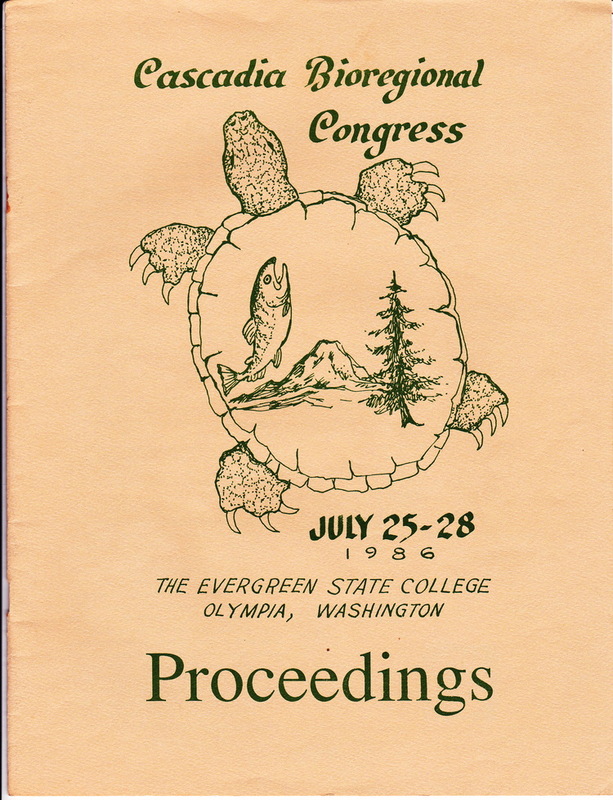 First Cascadia Bioregional Congress 1986 Proceedings Online! CascadiaNow! is very excited to announce that the proceedings from the first ever Cascadia Bioregional Congress, held in 1986 at Evergreen State College, are now online. This is the first in a collection of early material currently not available anywhere online that we are working to preserve, digitize and make freely available for anyone interested in studying the early Cascadia bioregional movement. This first document is a really exciting look at the first CBC, which brought more than a hundred people together for a deliberative gathering, rather than simply educational, and operating through a consensus model to put together forums and panels on a variety of issues, from local economy, to grassroots democracy, environmental protection and an incredible diversity of other topics. These congresses would be held over the next ten years, growing to nearly a thousand people in the early 1990's and having an incredibly impact on both environmental conservation and policy and planning. The importance of these meetings cannot be understated, but until now, very little material has been available to see the size and scope online, outside of sparse references and footnotes. The first Cascadia Bioregional Congress: Proceedings can be found here! and includes a full PDF version, each page as a JPG image, an image gallery of included photographs, and readable, search friendly text. Please enjoy, and we look forward to being much much more content in the future! And, to help us with that process are in talks with archivists at the Museum of History and Industry in Seattle, and ResearchWorks at the University of Washington to help us figure out an effective strategy to help document the material. In addition, we're excited to be working with the Cascadian Wikimedia User Group around helping make the information accessible, and are always looking for volunteers who might be interested in helping in this process. CascadiaNow! has been lucky enough to receive an amazing cache of early Cascadia bioregional primary source and archival material available no where online. In 2016, we will be embarking on an aggressive strategy to make this material accessible, to build partnerships, and to use these as a tool to help raise awareness about Cascadia and the CascadiaMovement.